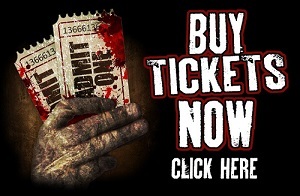 » Children 10/under: $26.00 Combo or $16 for each attraction (Price includes tax) ***The Haunted House and Terror Transport are one attraction. Pandemic is a separate attraction. » Skip the entrance line! Buy your tickets online! (Online Pricing includes Tax and Service Charge) Not recommended for small children YOU MUST SHOW PHOTO ID AND THE CREDIT CARD USED TO PURCHASE YOUR ONLINE TICKETS WHEN YOU VISIT THE FARM! Phone: 770-954-9356 This is a landline. No text please. Fear the Woods is closed for the Season! SKIP the Entrance Line! Buy Online! The woods will once again become alive September 28th, when the sun sets over The Pumpkin Patch. Fear the Woods is a professional haunt that offers three haunting experiences: The Haunted House, a place where all your psychological fears are revealed; the Terror Transport and Trail, where you attempt to survive the woods, corn, and Skinner family; and Pandemic, our NEW 80,000 square foot interactive, combat field where your skills determine your fate. Are your survival skills good enough to save yourself and those around you? Don’t wander too far from the light as new creatures come to feast on the screams of those that come to the farm after dark. Find us on Facebook to get updates on weather and crowd information. NEW for 2018! Please bring ID and Credit Card used for online purchases. For safety, each guest is required to walk through a metal detector. Large purses, bags, and book bags are not permitted. Fear the Woods is not responsible for damages to your person or objects in your possession on the farm. Please watch where you step and be aware of your belongings such as phones or keys. Please note that Friday and Saturday nights are our busiest nights. 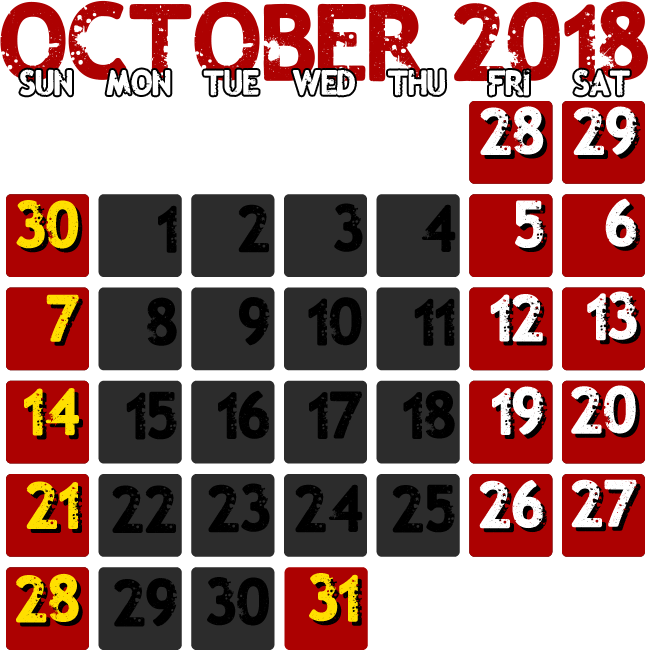 Our highest volume nights are the last two weekends in October. If we reach max capacity, we have to close our gates early for safety reasons. or come out on Sunday night (guaranteed less wait time). Please check our Facebook page for crowd information and PLEASE PLAN AHEAD! If there is ANY question about us opening due to weather, please check our Facebook page on the night of your visit. 70% of Fear the Woods is outside and the last thing we want are drenched customers covered in mud. Please no small Children! We recommend ages 10+, but we leave the final decision up to the parents. 3565 North Hwy 155, Stockbridge, Ga. Fear the Woods is located at Yule Forest Pumpkin Patch ! Site contents copyright Fear the Woods unless noted otherwise. All rights reserved.